I haven't particularly cared about Fluttershy's cuteness in a while, so I'm much happier with her being halfway interesting. It's really amazing seeing how far Fluttershy has overcome her shyness since Season 1... She went from being afraid of her own shadow (literally) to being able to stand up for herself and actually push her brother in the right direction, and it looks like it wasn't easy with Zephyr. Sure wasn't, but thanks to his big sister and Rainbow Dash, he finally overcame his fear of failure and is on the right track to a great job now. Nice work for Fluttershy. I did enjoy this episode, though Zephyr Breeze did rub me off on the wrong way, especially in the first half. Afterwards I did enjoy his character and you can see Fluttershy's growth over the past seasons. Though I did enjoy Zephyr's flirting with Rainbow Dash, I can relate since I occasionally had to go through that with an old friend. I came up with a headcanon that Zephyr had a crush a Rainbow Dash as a colt, he was shy like Fluttershy and he thought that being headstrong with Rainbow Dash would end up with her liking him. I found Dinky's reaction to be rather hilarious. "Really? You think this is the worst word I've heard in my life?" and have finally review it. Pretty good, but I've never once met someone in real life whose reason for not holding up a job was fear of failure. I don't doubt it's a real issue for some people, but Zephyr wasn't holding down any job. If his issue really was fear of failure, fine, but you still have to sustain yourself. I think it would've been more solid if they used sheer and simple laziness as his problem... then again, considering the last few minutes, maybe that was his issue all along and he just used "fear" as an excuse. I've seen and heard that plenty a time. Liked it overall! Feel bad for Fluttershy, though. You make a good point about the episode trying to frame its moral one way when in fact it seems to point to another entirely. This interpretation makes sense to me, as I also interpreted the episode this way, yet I also don’t think that the episode is weaker because of it. The structure of a typical MLP episode is very akin to that of parables from works like the bible. Both present themselves as simple stories, but by story’s end they both present a specific message to the audience. The only difference is that MLP tries to summarize that message into friendship lessons, whereas the bible simply lets them sink in. This act of naming the lesson doesn’t change whatever insight was revealed through the story. At best it gives you a short quote to cherish and treasure; at worst it feels non sequitur and out of place. Such a summation also has the ability to provide another lens through which one can see the episode in a different light. In such instances, one might learn two different lessons from the same episode. However, this also opens up the possibility of misinterpreting the episode by looking too closely at the given moral. Episodes like “Feeling Pinkie Keen” (S1) and “Do Princesses Dream of Magic Sheep” (S5) both have morals which aren’t easily compressed into a single idea. Both of these episodes also have controversy around them due to their lessons. As every person will interpret them differently, it’s possible (and probable) that for some people, the given moral won’t make sense. With that in mind, I personally don’t have problem when an episode summarizes a lesson in a different way than I would; it’s very possible that their way will make much more sense to someone else. Well, here's the self-introspective side of me. To me, I really liked the episode for one reason, but also hated it for the same reason -- Zephyr is a pretty accurate representation of me. I know a lot of you who know me from here will be all "Oh no, you can't possibly be that much of a jerk, you're such a nice person! ", but... honestly, I'm a REAL jerk IRL. For one, I'd been freeloading on my parents from ever since I finished high school up to about a month and a half ago, when I got my job. That's about eight months. And it's not like I wanted to get a job then -- everything was fine; I had a phone, a decent computer, and friends on the internet that I could talk to if I needed someone. Curfew was out the window, I was an arrogant SOB and stubbornly lazy. And kind of a flirty douche. Only difference between me and Zephyr was the fact that I had decent survival training, so I could actually survive in the woods if I needed to. That all changed when our monthly internet plan changed, and I was forced to pay $60 a month for my internet access. Honestly, the thing I was most afraid of was losing you guys, my friends on MLP Forums. I was so mad at my parents for making me pay for the internet that I simply jutted out my jaw, grabbed a pen and a bike, and headed off to find a job. Fifteen hours later, I'd secured employment at Little Caesars Pizza, and am now semi-happily employed, making about $400 a month. So yeah, this episode has a lot to do with me. I'm still a jerk sometimes, and when I'm not working I like to browse the internet and drink coffee. And I'm still a flirty douche. But like Zephyr, I'm taking baby steps towards bettering myself. Because the episode portrays recent events in my life so clearly, I both like it and dislike it. I like it because it's a very true-to-life lesson; if you're a lazy bum, you deserve to be mistreated. Go out and get a job, mother bucker. But I also dislike it, mainly because it shows me how much of a jerk I was beforehand, and I don't like bringing up foul memories. The only real issue I have is that the "climax" of the episode is a musical number. The message "pull yourself up out of bed and get a job" is still there, but I can't stand musical numbers. It seems like the moral is "if your older sister sings at you, you'll get a job". And while that may be true for some people (honestly I can't stand a second of my older sister singing to me), it's still very... well, childish. Getting a job is easy, but remaining employed is really hard -- especially for the first month or so. You'll want to quit, but you can't let the world beat you. You really do have to pull yourself up by your own bootstraps. ...Anyway, this post got has run its course and is kinda long-winded. I think I'll end off here. It’s really neat to read a response from a person who relates to Zephyr Breeze more than other characters. I’m actually a little surprised that you didn’t full out dislike the episode; rather, you point out the validity of its message despite it being more geared against you. That definitely takes maturity. You also point out the sensitivity of such a conflict. It’s very easy (and typical) to frame a disagreement as a person in the right standing against a person in the wrong. This works well enough if it’s the mane six framed against Lord Tirek, or the CMC against the Diamond Tiara of early seasons, but here it’s family versus family, and none of the characters are intentionally trying to make matters difficult. In “Flutter Brutter,” the writers chose to have Fluttershy be in the right, thus condemning Zephyr. However, I definitely saw the writers trying to interpret Zephyr in the most positive way; never in the episode did the characters attack Zephyr the pony on a personal basis. Rather, they criticized his behavior, and sought to have him improve. However, I’d be interested in hearing what you have to say about the subject, as I’m personally not at the wrong end of the gun. Did the writers ever go too far in their criticism of Zephyr? I also want to point out that it’s not the song which causes Zephyr to finally get a job; it’s the shock factor of actually being throw out and into the forest. Not everyone has the survival training that you have, and I know if I were faced with such a choice, I would get a job immediately without a thought. I'm not going to complain about the third act because that part of the episode practically writes itself. Where the success or failure of this episode was depended on what kind of characterization Zephyr was given in the first two acts. Unfortunately, it lined up as expected, and it wasn't good. If Zephyr was supposed to be a sympathetic character, he surely didn't earn it by being a diva stereotype that forced the Mane 6 to get ugly with him. It takes a special kind to drive the Mane 6 to the edge that he did, and his snobbish, bratty attitude does nothing to separate the early part of the episode from basically being the cartoon equivalent of one of those anti-Millenial hit pieces put out by Gen X/Boomer mainstream media hacks. If the focus of this character had been on his fear of failure, this would have been more interesting. Instead, his self-centered, work-averse personality is played up for the same cheap laughs the older crowd would probably get out of reading one of those sermonizing hit pieces. I wouldn't consider this one of the worst episodes, however. There was a good message to it, only the execution sucked because the character that drove it was so lazy he couldn't bother to be more original. The song felt awkwardly forced in, but wasn't too bad. 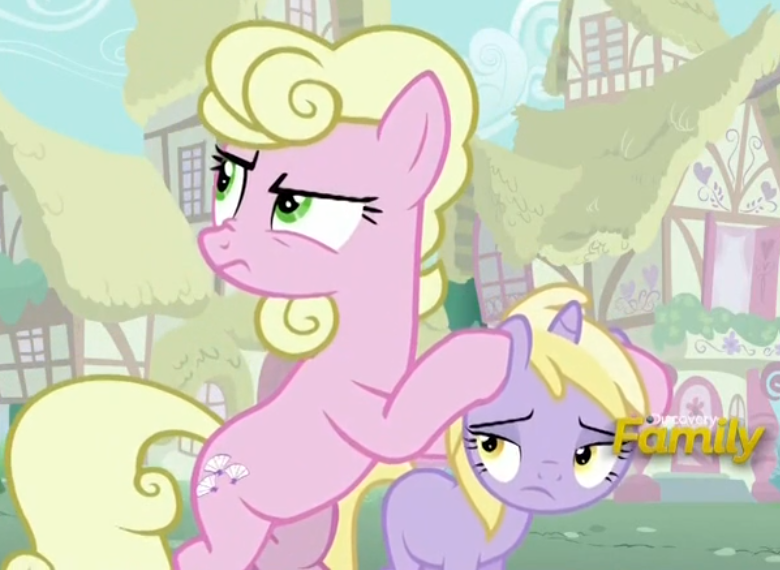 And I'll admit seeing a filly being shielded from such mild language was amusing. Having defended Dave Rapp despite being negative to "Newbie Dash", I now believe that he, along with the other Dave, have writing styles that are constantly at odds with the show's goals. The show is more story-driven than antics-driven, and if we see more episodes like those, it will be rough times ahead for this show. I can't really tell where this episode's intentions were; if it was meant to poke fun at the stereotype (at which it didn't do a good job IMO) or if it was genuinely about the message. But there are better ways to do both, and for that, I'd like to move on from this one. You state that Zephyr’s failed characterization is what causes this week’s episode to suffer in quality, but I’m not quite sure where you're drawing these conclusions. You're definitely right that Zephyr Breeze appears to be characterized as a millennial, but we mustn’t forget that this characterization is indirect. He earns the label, not by being in a different generation than Fluttershy, but by being lazy and arrogant throughout the episode. His actions make it very difficult for anypony or the audience to sympathize with him, so I’m not quite sure where the term “sympathetic character” is coming from. If anything, he’s a “love to hate” type of character. Because of this, there definitely isn’t anything funny or humorous about Zephyr’s character. Rather, the joy of this week’s episode comes from watching how Fluttershy and Rainbow react to him. It’s a typical situational-comedy set up, familiar territory for FiM, but as various people find various situations funnier than others, I can understand if it’s not everyone’s cup of tea. However, calling it “cheap” seems unfair as the jokes are well crafted; many of them are built from personality traits, like Spike’s dutifulness, Pinkie Pie’s extraversion, Flutterhy’s serenity, and Rainbow Dash’s intolerance to fawning. I’m also not quite sure how the episode’s intention isn’t clear. With the song at the end emphasizing the importance of dedication and hard work, it seems quite clear that the episode is message driven, and Zephyr’s journey from being kicked out of his parent’s house to Flutterhy’s later on follows the usual pattern of making a mistake multiple times before it finally is learned. If you're up for elaborating any more on your ideas, I’d be glad to listen. The bigger issue was really the same thing pretty much every critic is bringing up about this episode; Zephyr was meant to be unlikeable and a jerk through the first two acts. The tone quickly shifts to sympathy in the third act with little indication that he was accountable for his actions. It felt disjointed, like it was trying to sew together two different characters more than two sides of the same character. I believe that the "fear of failure" played more like an excuse to justify his actions than a legitimate motivation early in the episode, like Babs Seed's bullying history was in "One Bad Apple". "Fear of failure" shouldn't get you off the hook for manipulating others into wasting their time for you, nor should it get you off the hook for an outright callous attitude towards others' property. I can agree with your sentiments on how the other characters reacted to him, but to me, Zephyr himself was no fun to watch and not a very original character, neither was he strong until the absolute end of the episode. I found his hitting on Rainbow Dash amusing, but the rest of it was very standard. This is all keeping in mind that characterization is part of what makes this show great; it would be impossible to imagine this show with lesser characters than it actually has. With the "cheap humor" comment, I was mainly talking about how Zephyr can be easily interpreted to be a reference to today's culture of live-in adult children. It's a much more complex issue than was taken up in this episode, and though I understand that one character, especially from this show, cannot be representative of an entire population, it's too easy for certain viewers to make the connection. For me, I interpret the shift towards sympathy at the end as Fluttershy and the others forgiving and forgetting. While the whole "forgive and forget" mantra might not be so popular in the real world, I get the sense that it's common in Equestria. Unfortunately, the show isn't exactly consistent with how it deals with this topic: in S5 we have Rainbow Dash destroy the weather factory and get away with it, in S6 we see her mess up a flight routine and be assigned punishment for a month. I really don't become invested in characters during their first appearances, so I don't care too much if Zephyr was just a standard TV trope. I was much more interested in watching how Fluttershy and the others dealt with him, and I felt their interactions were spot on. And yes, your last point could be a problem, but only if the viewers really want to make one. I interpret Zephyr as one case out of a multitude, and in his circumstances, he really did need to get out of the house and start working. That's the key though, the episode's lesson is "don't worry if at first you don't succeed, just try again." But we never see Zephyr try anything. If we'd seen more Zephyr trying and failing at his jobs before pawing them off to whoever is around, I think his character and the episode's lesson would be more in line. Zephyr strikes me as a character that could have done fine in a CMC episode: He has his cutie mark, but it didn't come with an immediate and obvious talent. So he's kind of stuck trying to figure out what he should do with his life and where his talents are. It's an interesting story that would be much like Diamond Tiara's, but with a twist. However, we'd have to see Zephyr actually trying and failing to do thing before things fall into place. Although the end does have some tonal whiplash, I think that Zephyr's fear of failure wasn't a justification for his actions but an epiphany on his part. Now that he's recognized his own faults, it's easier for him to move past them. It's character development and, putting aside that it ignores other bad aspects of his personality, it felt fairly organic to me. Then again, I found him fairly entertaining, so perhaps that made it easier for me to deal with. I see potential in the character. That's why I don't think the moral is "don't worry if at first you don't succeed, just try again." I think the moral is more along the lines of "Just try something, and don't worry if it's difficult at first." I interpret the moral this way because Zephyr never stuck with something long enough to overcome the initial difficulty. He did try things at first though. He just didn't immediately succeed at them, and then gave up when he didn't immediately succeed. After all, what finally makes him succeed is not trying something new, but going back to something he failed at and trying again. That makes sense. I could understand how people interpreted his actions early on as a depiction of how some people put on a facade of egotism to hide a lack of confidence and self-esteem. It makes perfect sense to me, but on a personal level for me it just didn't seem convincing enough in the way Zephyr did it and I felt other characters have done it better. I don't really have anything against this interpretation of the character -- it really hits home for a lot of people and I like that people can see a lot of themselves in this episode. I get the impression that he didn't try them for very long though. In my eyes, you have to spend a significant amount of time on something before it counts as a try. That I think is the most important difference between Zephyr and many other ponies. Most ponies, when they discover their cutie mark, find it comes paired with a ton of talent in something. Twilight and magic, Fluttershy and animal communication, Applejack and apple farming, and so on. At the moment they gain their cutie-mark, they've generally found their 'place to be.' As a result, most ponies don't go through the 'try really hard on something for a long time before you get good' route that we do. But not Zephyr. Zephyr got his cutie-mark, but no immediate talent jumped out with it. He has to take the long route, and that's a strange place for ponies to be. The thing about cutie marks though is that they require a lot of hard work and discovery before one appears. As we saw from the CMC, they had to work 5 years beyond what other ponies had to do to earn their marks, and I'd say that those 5 extra years provided them another 5 years to practice and develop their talents. They still took the long route, it's just that their hard work was completed pre cutie mark. The CMC are a notable exception though. Most ponies don't form clubs dedicated to finding their cutie marks, but just go about their lives and do whatever interests them before stumbling onto their cutie marks and talents. It always appeared to me that cutie marks simply do not appear unless you've discovered some sort of passion. If Zephyr didn't find any passion or talent, then I don't see how he could have gotten his cutie mark. There's the whole Troubleshoes thing, but that never made any sense to me. I've never really liked this idea that cutie marks negate the need to develop skills like people do. Just because you happen to have a passion and/or talent for something doesn't mean you suddenly don't need to practice at all. Twilight, for instance, spent years studying and honing her magical skills. Cutie marks come in the middle of the process, not at the end. It's not that it negates the need to develop skills, it's that for most ponies their gaining of cutie marks and finding where their talents lie go hand in hand. Twilight gained her cutie mark and at the same time discovered her amazing talent for magic. Yes, she trained hard to get where she was, but how deep her talent could push her was discovered at the same time as her cutie mark. Rainbow Dash always was fast, but the day she gained her cutie mark she realized just how much she loved speed. Applejack was always good with apples, but it wasn't until she realized that's where she belonged that she got her cutie mark. It's easy for ponies who get their cutie mark at the same time they realize where their talents lie or what they enjoy doing. For those few ponies to whom it doesn't, such as Troubleshoes who didn't realize his talent was for rodeo clowning or Diamond Tiara who had no idea how to go about being a leader, getting a cutie mark is a confusing experience. In this case, Zephyr Breeze's cutie mark seems to reflect his personality more than his talents. Not unknown, but certainly not helpful in finding where you belong in the world. For those few ponies to whom it doesn't, such as Troubleshoes who didn't realize his talent was for rodeo clowning or Diamond Tiara who had no idea how to go about being a leader, getting a cutie mark is a confusing experience. Oh no, Diamond Tiara was fine. She just never realized that she could use her talent for good. Troubleshoes, meanwhile, got a cutie mark he doesn't understand, and I don't see how that's possible. In this case, Zephyr Breeze's cutie mark seems to reflect his personality more than his talents. Not unknown, but certainly not helpful in finding where you belong in the world. I don't really understand what Zephyr's cutie mark is supposed to mean, but up to this point we've only known cutie marks as representing a pony's talent. And her lack of realization confused her. She only knew leadership as being loud and trying to take control, but her cutie mark did not come with an understanding of how she should lead. Troubleshoes got a cutie mark that represented his talent as a rodeo clown, but that was never the main thing he loved about rodeos. He loved everything about rodeos, so when a cutie mark appeared when everything went wrong, and the cutie mark resembled a symbol for bad luck, he drew the wrong conclusions. Well, not always. Fluttershy's mark is a trio of butterflies, which represent her quiet personality more than they do her ability to communicate with animals. Sunburst's represents his name quite well, but doesn't really show his talent for magical study. Zephyr Breeze's cutie mark, much like Sunburst's, seems to represent his name. A gentle breeze. Which is also much like his personality, a calm wind that just goes with the flow not really caring what tomorrow brings.  re: Troubleshoes - The way I understood it, a cutie mark simply does not appear until you understand what your talent is. I thought that was demonstrated well with Diamond Tiara, who knew her talent, but only knew how to use it for wrongdoing. I'm starting to see where you're coming from, but I still don't see how Troubleshoes could have gotten a cutie mark without knowing what it meant. It should have appeared at some point after he realized he could entertain people with his clumsiness. 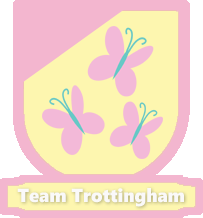 re: Fluttershy: Her cutie mark still appeared once she discovered a passion for nature and animals. Zephyr Breeze's mark must represent his passion in some way which is unknown to us - it's not random. I enjoyed this episode, and I took it as a pretty decent introduction to Fluttershy's family; That sort of thing is always interesting. In regard to Zephyr, I would argue that the writers succeeded in making him incredibly dislikeable from the start. Another episode that I liked, but seemed a bit too high-brow for most kids I know.